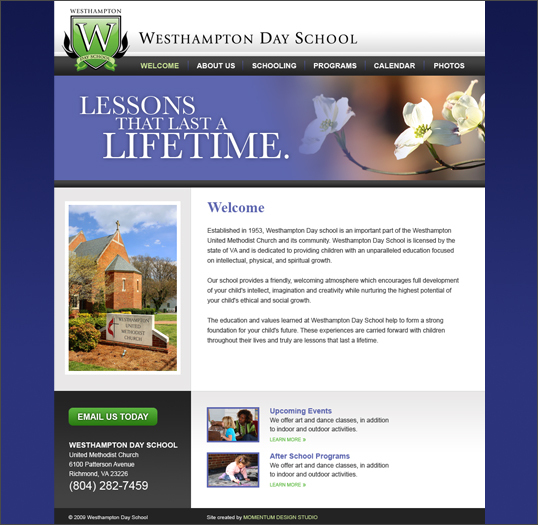 Project Details: The website was completely redesigned to coincide with the rebranding of Westhampton Day School’s identity. The goal of the website redesign was to better reflect the school’s professional identity while expressing the playful side of learning as well. The site runs on a Content Management System that allows for better usability and site maintenance.